The Beastie Boys' Mike D has been revisiting the 1990s as part of a video series for Vanity Fair, with the rapper touching on everything from the Biggie/2Pac beef to the Arsenio Hall Show. On Wednesday, Mike D briefly touches on the grunge scene that changed the look and sound of rock music during the Bill Clinton era. Mike D also states that the Nineties were the "apex moment" for hip-hop thanks to the genre's evolution since the Eighties as well as the emergence of Yo! MTV Raps. The Beastie Boy also thanks the early Nineties and its pot culture for loosening the restrictions on marijuana, which trickled down into the slow legalization that America is witnessing now. 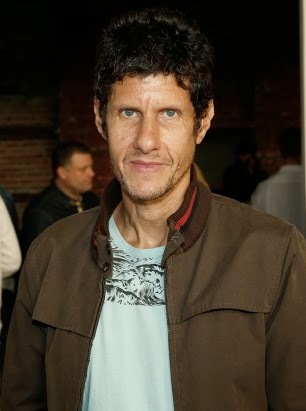 Previously, Mike D discussed the Tupac and Notorious B.I.G. feud at length. "Yeah, [Tupac] was 'Thug Life' and everything, but he was more of an artistic kid. But basically he was so determined to be authentic, it ultimately killed him, which is a sad and tragic thing," Mike D said, adding about Biggie's death, " "It was super surreal. It was like, 'What? Biggie got shot?' It just seemed like it couldn't be true."